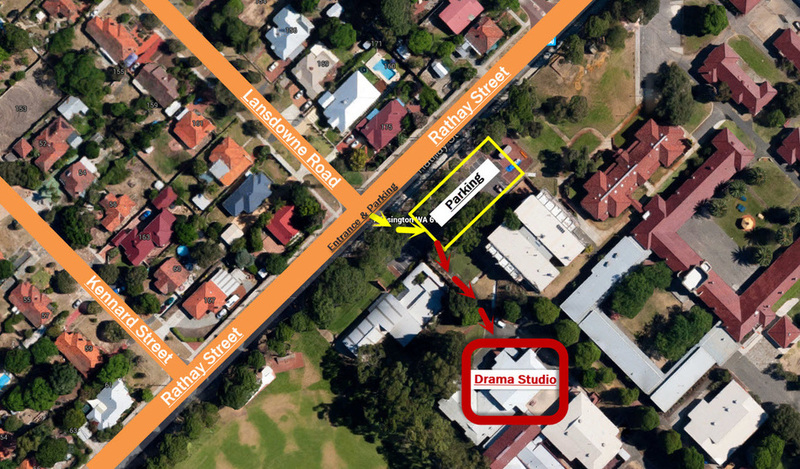 Important Notes: Our Drama Studio is located on the Kent Street SHS Campus. Please use the maps below to access the grounds and find the correct parking. Please be aware you can't turn right off Berwick Street into Rathay Street (If you are heading south bound - away from the city) due to a median strip. The best way to access Rathay Street would be via George Street, then Lansdowne Road. If you find yourself running late or you get lost finding the venue for the course, please call us on our workshop mobile: 0450 230 382. Please be aware this mobile is only available the days we have courses). Please print the map and bring it with you for directions to the course.